If you need a departure from the cruel reality we are living in, there is still some cute and uplifting news to talk about. Like, oh, I don't know, one of the world's cutest couples welcoming their second child into the world. 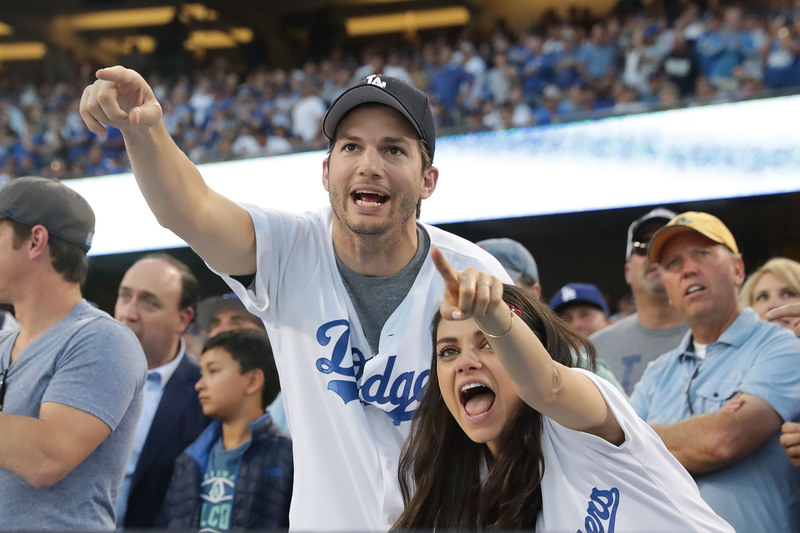 Yes, Mila Kunis and Ashton Kutcher's son was born unto the world, and all That '70s Show fans (and fans in general) can rejoice in this couple's baby news once again. But, the age old question when it comes to newborns still remains. For instance, um, what do we call him? What did Kunis and Kutcher name their baby? Update: Kutcher revealed on his website, A Plus, that their new son's name is Dimitri Portwood Kutcher. Earlier: While Baby Boy Kutcher certainly has a surprising albeit unconventional ring to it, I don't think they intend for him to remain that way to the world at large. At least, not for long. While they haven't let us in on his moniker just yet, judging by the way they revealed their daughter's name, I am quite certain we'll know soon enough. Case in point, big sister Wyatt was born on Oct. 1, 2014 and, as Us Weekly reports, we already knew her name by Oct. 2. We can afford to give them some time, anyway. According to People , the little dude has only been in the world for two days, as he was born on Nov. 30. But, while we wait, we can speculate over the names, can't we? Or, at the very least, dream up some nicknames that would be appropriate for the couple, due to their history. Here are some suggestions for the Kunis-Kutcher family, if they're still undecided. Traditional and a subtle nod to That '70s Show, because let's be real, no one called Kutcher's character that. On top of that, Michael is also the name of Kutcher's twin brother. Different and unique, as a celebrity baby name dictates, and yet full of meaning. You know, if they decide to be a little more obvious about their romantic roots. Because it means "happy" and we all know how much Kutcher loves to laugh. Duh, we've seen Punk'd. Because it's 2016 dammit and a son can be named after his mother, too. But, you know, I'm sure whatever they end up choosing will be just as great.